Nukix Gear is a Bakugan Battle Gear and one of the pieces for Dragonoid Colossus. 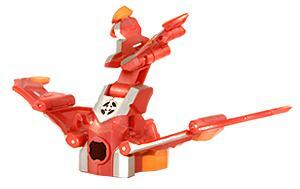 Nukix Gear is a Bakugan Battle Gear that forms part of Dragonoid Colossus’ powerful weaponry. Its wings give Bakugan the ability to fly and increases their natural flight speed. It has silver detail, but is really a gold gear and has 100 Gs. Purchase your Nukix Battle Gear from Amazon now!